Well, it certainly has been a while; one year and 11 days to be precise. It is nice to have a break from being told what to read by a course syllabus and having free-reign in my selections. So here we go. Oxford University Press is currently publishing a series of Canadian books called the Wynford Project. This series is bringing important Canadian titles back into print that have been relegated to obscurity over the decades. 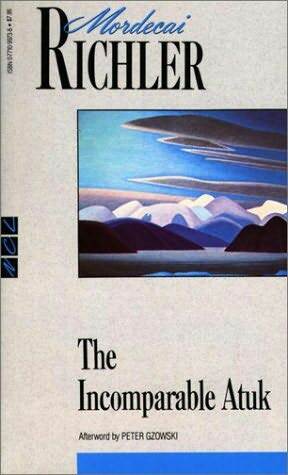 One of the first, and most prominent, titles is Donald Creighton’s The Road to Confederation. Originally published in the 1960s, this book gives the reader what feels like an insider look at the birth of Canada. The Fathers of Confederation become characters as opposed to vague historical figures and clear protagonists and antagonists emerge in Creighton’s writing. Most impressively though, this book is filled with subtle, and not so subtle, commentary on Canada as a whole. 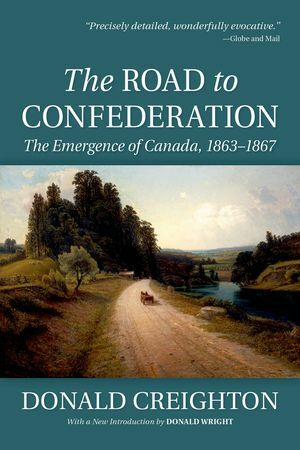 The introduction by Donald Wright says that this book “reveals as much about the 1960s as it does the 1860s.” The Road to Confederation tells a story of great optimism with a tone of cautious pessimism. I grew up in Nova Scotia and attended Sir John A. Macdonald high school and all through my school years I heard stories of the great Nova Scotians who helped build Canada. Names like Charles Tupper and Joseph Howe are known, at least in passing, by every bluenoser. For the last ten years I have lived in Charlottetown, which is , as my license plate tells me, the “Birthplace of Confederation.” Like anyone my age, I studied the confederation conferences in school and have distant memories of terms like reciprocity and Fenian raids; but as I have found out over the years, the gritty details of the birth of Canada are left out of the junior high textbooks. Most Canadians have only heard this sanitized version of history. Creighton gives the average reader, even one with no knowledge of our story, an unapologetically honest and unsanitized recap of those raucous four years of political headbutting that lead to Canada, the greatest nation in the world. Some of the details Creighton reveals are mind-blowing. Here are a few examples, just to grab your attention: the original idea of Maritime union was hatched up by the Lieutenant-Governor of New Brunswick because he thought the small provincial parliaments were embarrassments, the first conference was held in Charlottetown only because the PEI delegation refused to venture to the mainland, George Brown was essentially a raging bigot, PEI chose not to join confederation in 1867 for quite ridiculous reasons, all of the British North American colonies were wholehearted supporters of the South in the American Civil War, and Britain was eager to cast off its North American responsibilities. These are just a few of the many high points. When you pick up this book you know how it is going to end, Canada comes into being on July 1, 1867, but that doesn’t diminish this book’s power. This is a real page-turner and is what could be easily called the original Canadian political thriller and is highlighted with numerous historical photographs and maps. A history professor I was speaking with about this book suggested that I also read 1867 by Christopher Moore; he said the 30 years between the two books provide a great contrast in the interpretation of our founding. All this being said, this was a fantastic read and I want to thank Oxford University Press for resurrecting this jem.